No matter how well we take care of our skin, we all have bad skin days - sometimes due to lack of sleep, over-indulgence, illness, medication, reaction to products - the list goes on! Today I want to share my favourite products to use on my skin to combat dull, inflamed or spotty skin. I'm focusing solely on makeup rather than skincare because this is for quick fix solutions and I'm only talking about base products - no blushes or highlighters. To combat grey, fatigued skin, I always begin by using Becca Backlight Priming Filter because this illuminates the skin without giving a fake pearlescent finish. It just lifts and brightens the skin, counteracting signs of fatigue and it also lightly hydrates without being greasy. To up the glow even more, I like to wear Natasha Denona Face Glow foundation, because it is lightweight but gives medium coverage and a dewy finish and overall, my skin just looks healthier when I wear this combination of products. 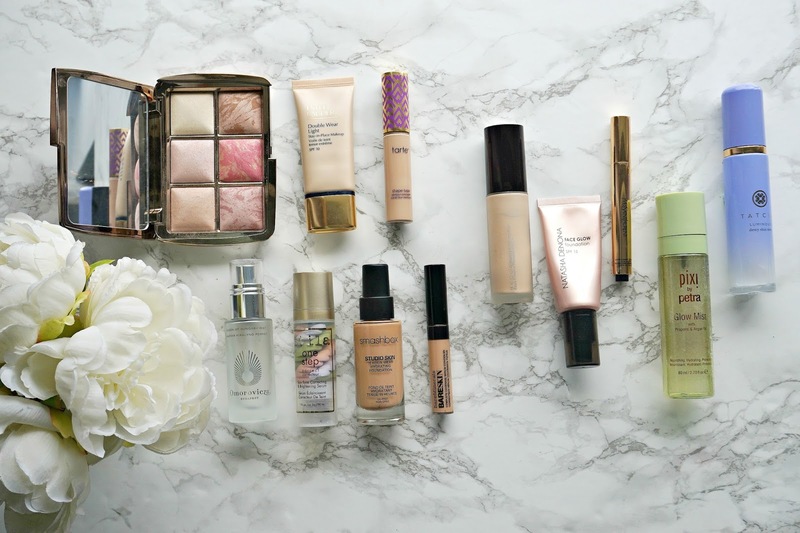 To further enhance the "well rested" look, I like to use YSL Touche Eclat to brighten the under eye area because it is lightweight but really adds some radiance and brightens the area. 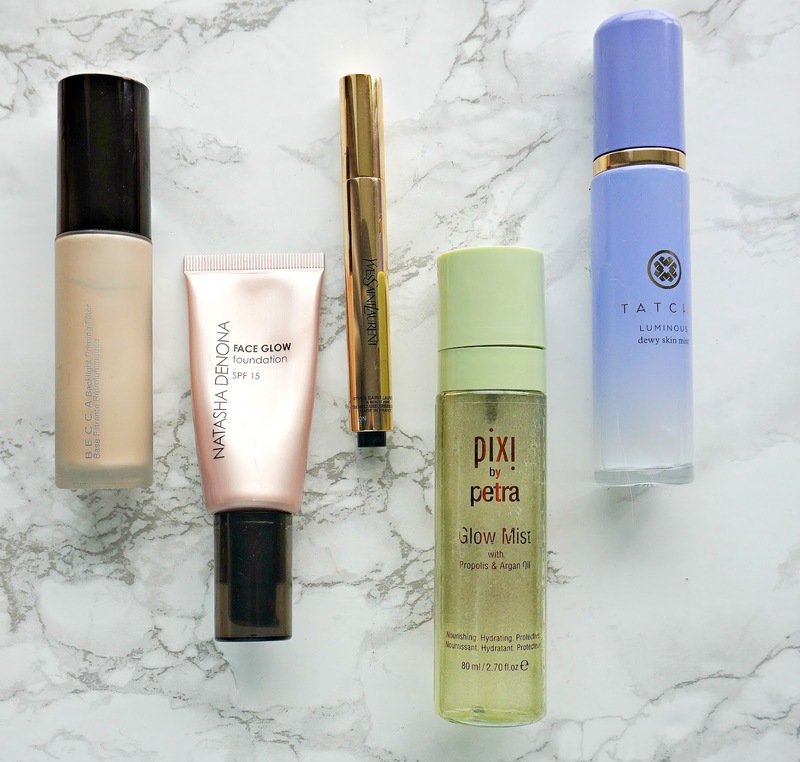 To finish, I will use a quick spritz of either Pixi Glow Mist, which adds further radiance without disturbing my makeup or Tatcha Luminous Dewy Skin Mist, which acts like an Instagram filter because it softens and diffuses the look of my makeup, whilst also illuminating the skin. 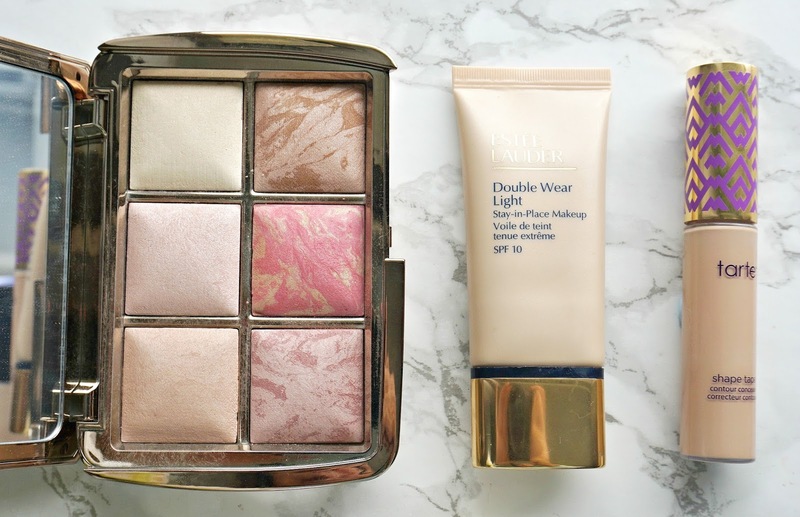 I don't wear powder regularly but if you like to, I would highly recommend Surreal Light from the Hourglass Ambient Lighting Edit - Surreal Light because like everything else mentioned here, it softens, diffuses and illuminates the skin. Because I am currently taking a lot of medication, my skin can tend to look quite red and inflamed at times so on these days, I will always begin with a spritz of Omorovicza Queen of Hungary Mist. I rely a lot of Omorovicza skincare products, due to how gentle and soothing they are and this spray is no different. I find that if I begin by spraying this, my skin is soothed and more receptive to the products that follow. I then apply a small amount of Stila One Step Correct primer, which I love because the green neutralises the redness in the skin, the peach brightens the skin and the lavender coloured product counteracts any yellowness in the skin - the combination of all three means my skin looks calm, plump and less inflamed. I then follow with Smashbox Studio Skin foundation as I find this blends beautifully into the skin and will stay looking fresh all day without needing any touch ups because I find that when my skin is inflamed, I don't want to have to re-apply products as that can aggravate my skin and make it react again so long-lasting products are the way to go. I finish by using bareMinerals Complete Coverage Serum Concealer as the serum aspect of it means it is hydrating because drying products only exasperate inflammation. This concealer provides good coverage so I can apply to any areas of redness that require some extra coverage instead of having to go back in with more foundation. I'm lucky in that I don't get very many spots these days but I can sometimes suffer from the odd hormonal breakout and whilst the temptation can be to use heavy duty, full coverage products and lots of them, I find that using light layers of products works best for me. My favourite foundation for spotty days is Estée Lauder Double Wear Light because this gives medium coverage that isn't fully matte but not dewy either (as my usual dewy skin favourites only serve to highlight spots). I find that it makes my skin look smooth and it is very long-lasting. I like to use some Tarte Tape Shape Contour Concealer (applied with a brush, rather than the huge applicator that it comes with) directly on the spot as this means it isn't cakey and is less likely to separate during the day. Like the foundation, this concealer is long lasting and because it gives full coverage, it doesn't require any top ups. It is described as being radiant, but I actually find it to be matte - perfect for spot concealing. Finally, I pat a tiny bit of Hourglass Ambient Powder in Diffused Light over the spotty area as I find that this pale yellow powder tones down the redness of the spot without highlighting it (who wants to highlight a spot?!). I don't own any matte powders as this is not a look that I go for. The combination of these three products means that the spot is concealed but my skin doesn't looked caked with makeup. 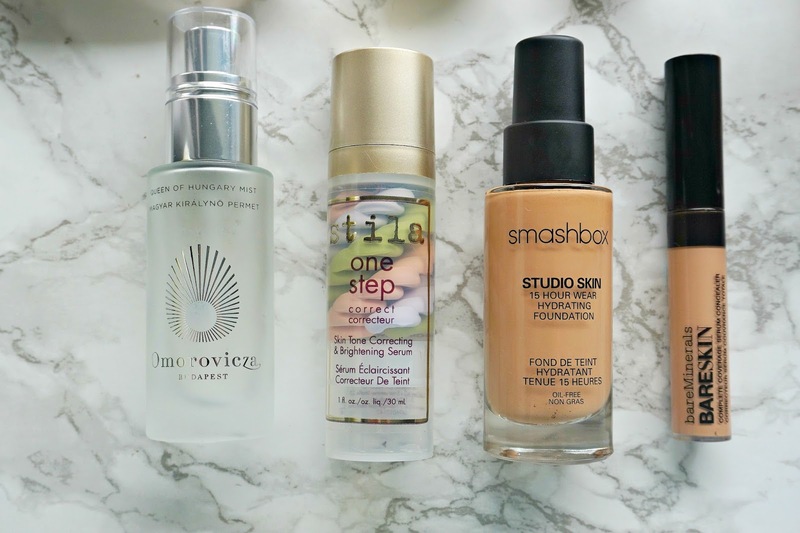 What are your bad skin day essentials? I would love to hear in the comments below!